Things are looking up in the Real Estate Market this spring. National Homebuilder stocks are rising as the outlook is that the market is recovering from the slow-down. This has been fueled by wage growth and a drop in borrowing costs injected into the typically busy spring season. When you look at local numbers, we are not quite seeing the uptick in the Charlotte area yet. 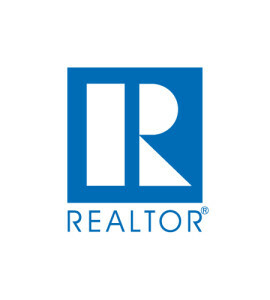 The Charlotte Regional Realtor Association has published their March report based on data from the Multiple Listing Services. They show that while pending sales are up 13.8% and average prices are up 3.3%, closed sales are down 6%, new listings are down 3.9%. Inventory is once again lower than this time last year at just 2.2 months of supply, down 4.3%. When looking just at the Lake Wylie area, the numbers are a little bit different. The supply of homes is holding steady from last year with 3.6 months of inventory. New listings were up 3.5%, pending sales were up 12.3% and closed sales were up 3.1% year over year. Average price of a home that sold went down slightly, by 6.8%, but that could be due to just a few waterfront homes which command a premium and can skew the data due to smaller sample size. If you are in the market to buy or sell a home in the Lake Wylie area, give us a call at 803-831-8588. You can view current listings and create custom searches on our website here. 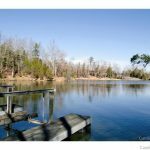 Lake Wylie was ranked #10 and Tega Cay was ranked at #2 in the Best Suburbs in South Carolina by Niche when it comes to factors like public schools, housing, good for families, jobs, cost of living, outdoor activities, crime and safety, nightlife, diversity, weather, health and fitness, and commute. If you want to join the many other people who know this area is the best, let us take you on a private tour of the new construction neighborhood The Bluffs. 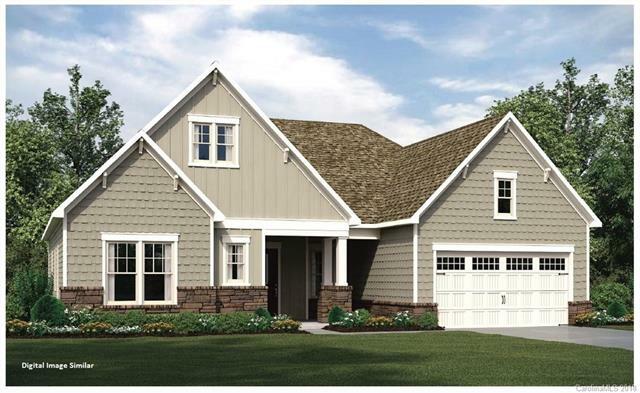 Brought to you by Essex Homes, The Bluffs a great choice for a Lake Wylie home. 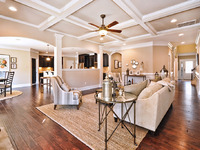 Homesites in the neighborhood are up to one acre and homes have stately architecture and design. 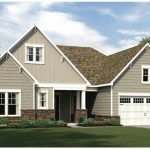 Choose from four sides brick or cement siding with stone accents, and many have three car side-load or courtyard style garages. 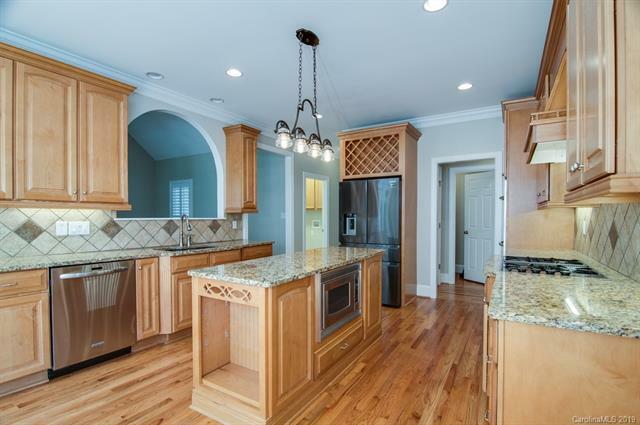 Interiors feature granite counters, hardwood flooring, and tankless water heaters. Some plans have first floor master suites, some have playrooms as well as bonus rooms, home offices and much more. There are six floor plans to choose from with 3-5 bedrooms and 2.5-4 bathrooms in 3,149 to 4,697 square feet of living space. 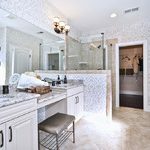 One amazing option on some homes is an extended owner’s bathroom with luxury custom closet. Other options include additional bathrooms, extended garages, butler’s pantries, and guest suites. The Bluffs is located close to many restaurants, shopping, and outdoor recreation areas. The Buster Boyd Bridge is nearby giving access to Uptown Charlotte as well as additional shopping in Rivergate. In the past year, homes in The Bluffs have sold in the mid to high $400’s, with an occasional home selling over $500,000. Current listings range from the $400’s to the high $500’s. 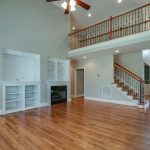 If you are looking for a home in The Bluffs, whether new construction or an existing built home, give us a call at 803-831-8588 or view current listings on our website here. 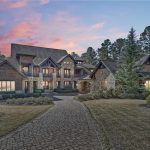 If you’ve thought of living near Lake Wylie but want some more acreage than homes close to the lake, Vanderlakes could be the neighborhood for you. This amazing spot has a York, South Carolina address, feeds to award-winning Clover schools, and homes have an between one and two and a half acres of land. 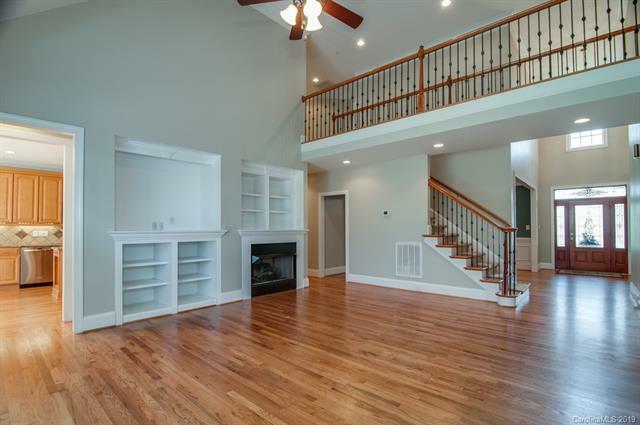 The custom built homes in Vanderlakes were built in the early 2000’s. They are grand in scale with close to or over 3,000 square feet of living space. Homes are packed with luxury features such as gourmet kitchens, custom closets, in-ground swimming pools, heated tile-flooring, and much more. These homes typically have between 3 and 5 bedrooms and 2.5-4 bathrooms. Many have flex spaces such as bonus rooms and home offices. Outdoor living spaces are also included in most homes here such as decks, patios, outdoor kitchens, pools, ponds and sports courts. 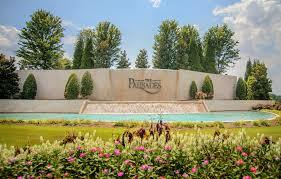 Vanderlakes is located just off S. Paraham Road south of Highway 49. Just a few minutes away you will find restaurants, shopping, and lake access. Uptown Charlotte is just about a half-hour away making a commute a breeze. In the past year, homes in Vanderlakes sold for between $420,000 and $515,000. There are currently two homes for sale in the neighborhood listed for $385,000 and $414,000. 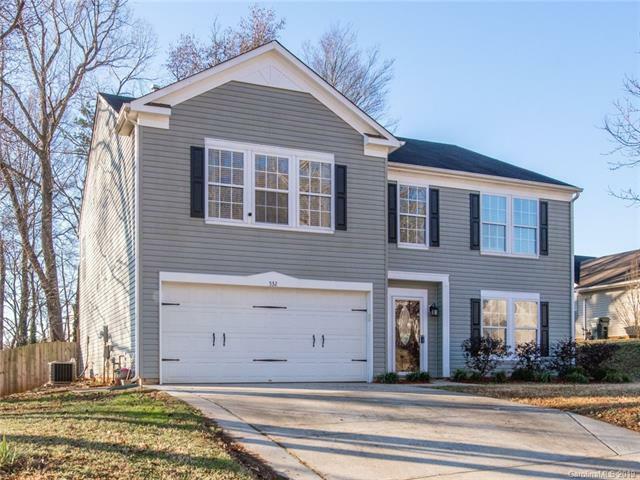 If you are looking for a home in Vanderlakes or any other Lake Wylie neighborhood, give us a call at 803-831-8588 or check out our website here for custom searches of current listings. 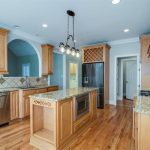 Many people haven’t heard of Mariner’s Bluff on Lake Wylie, but they are missing out on a gem of a neighborhood. There are not many homes that come up for sale in Mariner’s Bluff, but when they do, they get snapped up quickly. Mariner’s Bluff has a York, SC address with lower South Carolina taxes, but desirable, award-winning Clover schools. 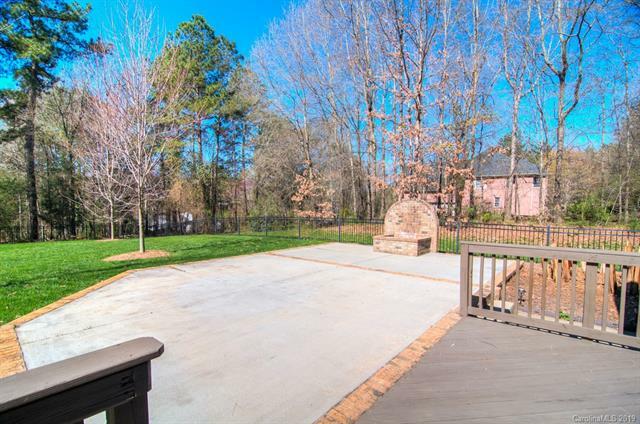 Located on a deep cove in Lake Wylie, Mariner’s Bluff residents have had access to the lake even during droughts. 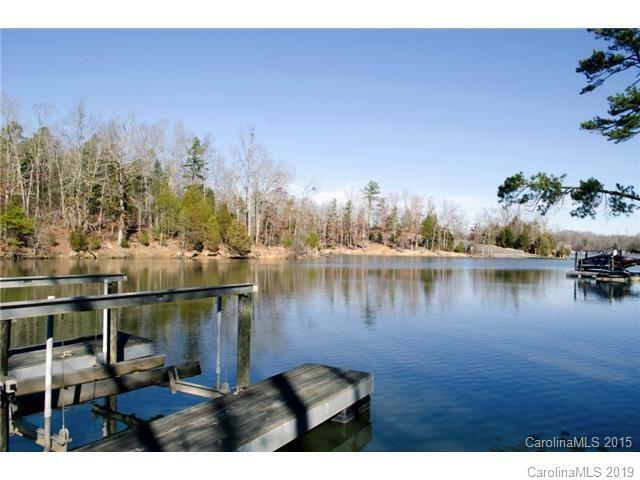 Homes have deep wooded lots and are located just one cove over from Allison Creek Boat Ramp. 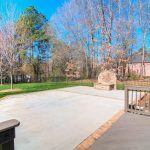 This location affords residents privacy but also easy lake access, and is a quick trip into Uptown Charlotte. Homes in Mariner’s Bluff range between 2,100 and 3,200 square feet with 4 bedrooms and 2.5-3.5 bathrooms. Some of the homes have basements that can be finished out for additional living space. Homes with waterfront command a premium and typically list in the high $800’s. Homes with water views or fully wooded lots typically sell in the high $200’s to the high $300’s. In the past three years, only one home in Mariner’s Bluff has come up for sale per year. 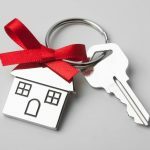 This means that if you want to get in on this great area, you need to act quickly when a home comes on the market. If you are interested in a home in Mariner’s Bluff or any other Lake Wylie neighborhood, give us a call at 803-831-8588. You can create custom searches of current listings on our website here. 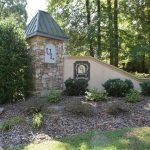 If you haven’t taken a look lately, it’s time to check out Longlea Estates in picturesque Clover, South Carolina. 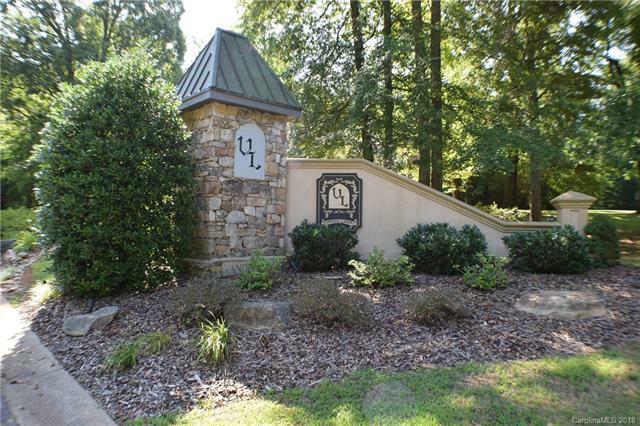 This amazing neighborhood contains stately homes with generous lots in one of the most desirable school districts. You will get great value in a home here as residents also enjoy lower South Carolina taxes. Clover is a great spot to call home, with small town feel, but still close to Uptown Charlotte. 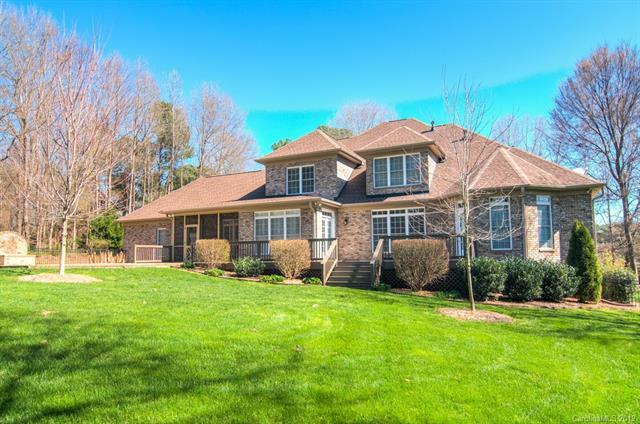 Longlea Estates is also close to Lake Wylie, perfect for a hike, or soaking in all that lake life has to offer. There are many choices for shopping, dining, and entertainment nearby. 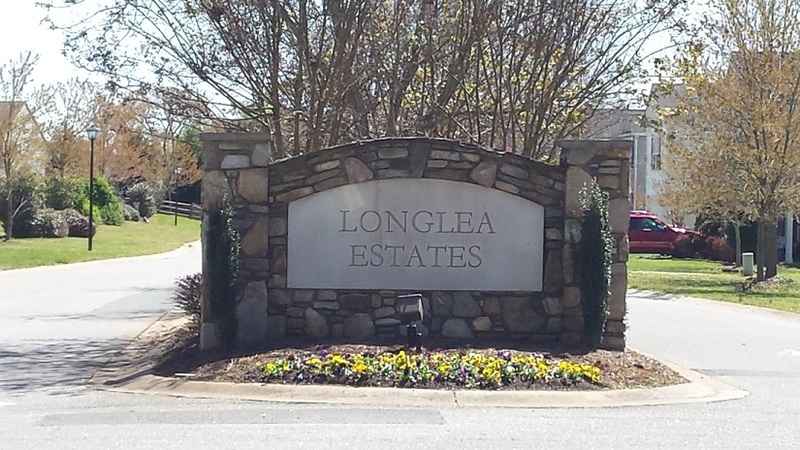 Longlea Estates is made up of 224 homes, built in the early 2000’s. 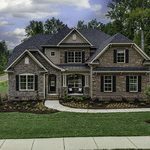 There are a variety of floor plans to choose from and lots are typically between a third of an acre to over half of an acre. Homes can range between 1,800 to over 3,500 square feet and contain 3 to 5 bedrooms and 2.5-3.5 bathrooms. There are ranch style homes as well as two-story homes so there is a home for every family here. 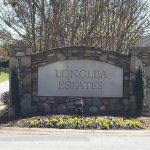 In the past year, homes in Longlea Estates have sold for between $190,000 and $267,000 with an average price of $233,389. There is currently only one home on the market here representing 0.9 months of inventory. The rest of Clover has 5 months of inventory which shows how desirable Longlea Estates truly is. 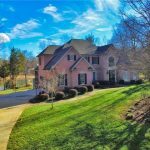 For more information on this or any other neighborhood in the Lake Wylie area, give us a call at 803-831-8588 or visit us on the web at LKWRealty.com. The Charlotte Business Journal has reported on the newest S&P CoreLogic Case-Shiller Index. 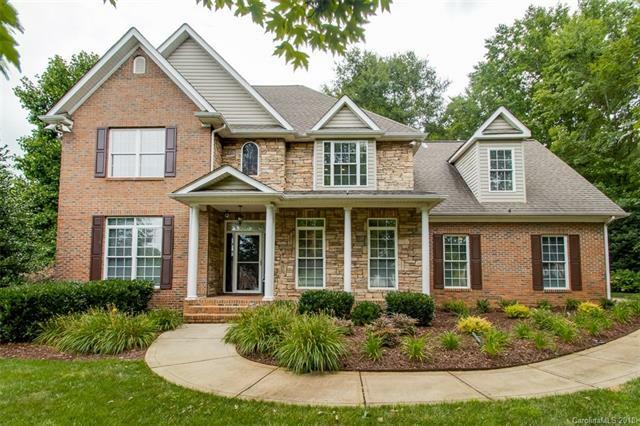 Based on the results, home prices are starting to slow down in the metro Charlotte area. Prices rose at an increase of 5.103% which is still higher than most of the 20 metro areas covered by the Case-Shiller Index. This is the smallest gain since April of 2015 and could be signaling a slow down trend. At the same time as we experienced the small gain in sales, mortgage rates have risen and then fallen again. In January of 2018 the rate was 3.95%, it climbed to 4.95% in November of 2018 and as of mid-March 2019 they are back down to 4.8%. 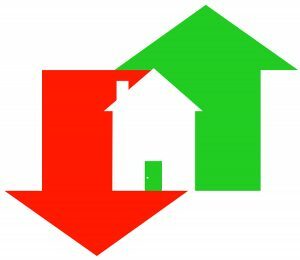 This dip in the interest rates could boost home sales as has been the trend in the past. The rest of the country has seen a slow down in home sales. With the national market it appears as if it is slowly going back to “normal”. This means that buyers will have more power in negotiations, but they will still have to work hard for a good deal. 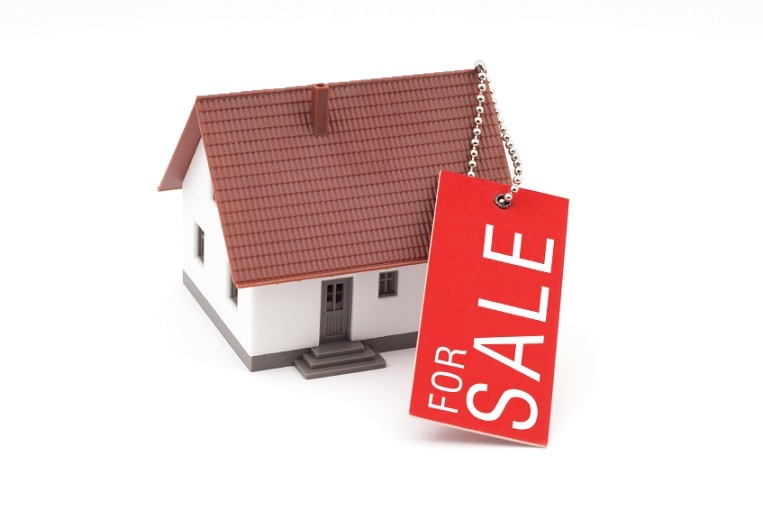 If you are interested in purchasing or selling a home in the Lake Wylie area, give us a call at 803-831-8588. You can view current listing and create custom searches on our website here. To read the full article in the Charlotte Business Journal, click here. Property Taxes have been reassessed for Gaston County which affects some Lake Wylie area homeowners. We all hope for appreciation on our properties, until it’s time for our taxes to be recalculated. With this most recent recalculation, Gaston County Residents will see an average rise of almost 23 percent. The valuation is used to calculate property taxes and is based on current market value for properties. 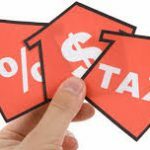 The tax rate is expected to remain the same at 87 cents per $100 of value. This means that if you have a $100,000 valuation that goes up by 23% you now have a value of $123,000. Your taxes would go up from $870 to $1070.10, a difference of $200.10. If your taxes are paid through an escrow account for your mortgage, your monthly payment should go up to account for the rise, in our example that would be $16.68 per month. The notices for reevaluation started to be sent out this week so some residents already know what their new assessments are. For those that do not have them yet, they should arrive soon. If you can’t wait, you can check Gaston County’s website starting March 12th. The county website should have a link to the Tax Office’s new website with the updated property values. The tax office has not done a reassessment since 2015 when average values actually dropped by 1 percent. That was during the recession, and values have rebounded greatly since that time. It is important to remember that the rise of 23 percent is just an average. Some homeowners will see a rise of more than 40 percent, and some will see less than the 23 percent rise. The Tax Office stated that some commercial properties are up more than 60 percent. If you feel that your property valuation has been raised in error, there is an appeal process that can be started via the Tax Office website. You can also appeal in the old fashioned way by going to the Tax Office. Appeals need to be filed within 30 days of notice. The county is expecting a large number of appeals due to the shock many residents may feel. 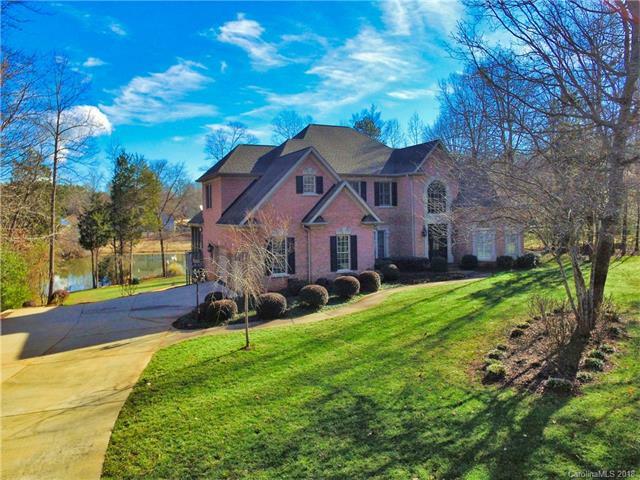 If you are looking for a home in the Lake Wylie area in Gaston County or any of the other counties that border the Lake, give us a call at 803-831-8588. You can view current listings and create custom searches on our website here. To read more see the article in The Gaston Gazette. The Palisades is a diverse collection of neighborhoods in Lake Wylie with many different builders, styles, and price points. There are existing homes and there are also builders still in the area so you have the opportunity to build your dream home from the ground up. Lennar, Toll Brothers, CalAtlantic are a few of the builders still in the construction phase. 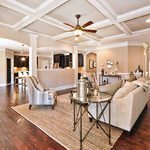 There are many different sections with new construction homes available such as Lanterns, Austin’s Creek, Morningside, Regency, Bear Creek, Eagles Landing, Montage and Highcliff. Homes in these areas start in the low $300’s and can go for well over $1 million for the custom homes. Homes are grand in scale and are full of unique and custom details. Many of the homes are on large lots of at least half of an acre. Three car garages are common as are grand outdoor living spaces including outdoor kitchens. Interiors boast coffered ceilings, butler’s pantries, top-of-the-line appliances, gourmet kitchens, spa-like bathrooms and much more. The Palisades is zoned for terrific schools including Palisades Park Elementary School inside the neighborhood. Other schools nearby include Southwest Middle School and Olympic High School. There are also many private school options nearby. People love The Palisades for the homes, but also for the amenities. 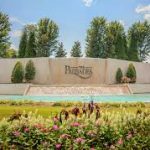 The resort style amenities include Clubhouse, Equestrian Facilities, Equestrian Trails, Fitness Center, Golf Course, Lake, Playground, Pool, Recreation Area, Security, Sidewalk, Street Lights, Tennis Court(s), Walking Trails. This is in addition to the opportunity to join The Palisades Country Club. Uptown Charlotte is nearby and is close enough for a morning commute. There are many options for shopping, dining, and entertainment at Rivergate, or with convenient highway access to additional choices. 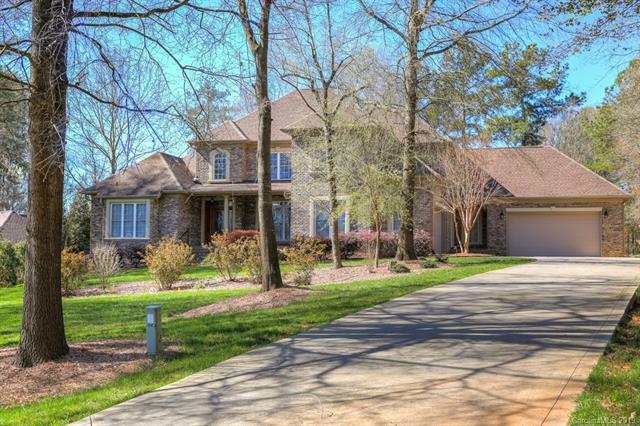 If you are looking for a home in the Palisades or any other Lake Wylie neighborhood, give us a call at 803-831-8588. You can view current listings and create custom searches on our website here. The monthly numbers have been published by the Carolina Regional Realtor Association. They base the report off of numbers from the Multiple Listing Services, Inc. The big story for the Charlotte region is that almost every number is down. From supply of homes to new listings, to days on market from list to close, all of these numbers are down. The numbers that are up are average and median list price. When you look just at Lake Wylie, the numbers are a little bit different, but keep in mind that the small sample size can make the trends seem extreme. In Lake Wylie, most of the numbers are up from last year at this time. New listings are up 12% over this time last year, from 133 to 149. They are also up when you look at year-to-date, 10.6% over last year from 246 to 272. This increase is responsible for an uptick in the supply of homes which rose from 3.5 months up to 3.6 months. A balanced market between buyers and sellers is considered to be a 4-6 month supply. 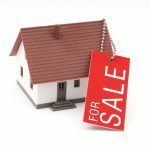 This is welcome news for buyers as they have had a harder time in recent years with a rise in multiple offer situations and prices above list. If this trend continues, we could see prices slow in their rise. Prices for homes in Lake Wylie have increased from an average of $382,147 last February to $393,761 this February. This represents a 3% increase year over year. 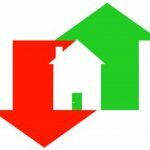 When you look year-to-date, there has been an 8.4% rise in average sales price which could be the result of a few large sales. Pending sales were way up year over year from 91 up to 120, a rise of 31.9%. This means that we should see strong sales for the next few months as the homes that are pending head to the closing table. As we head into spring, we should see the market speed up. 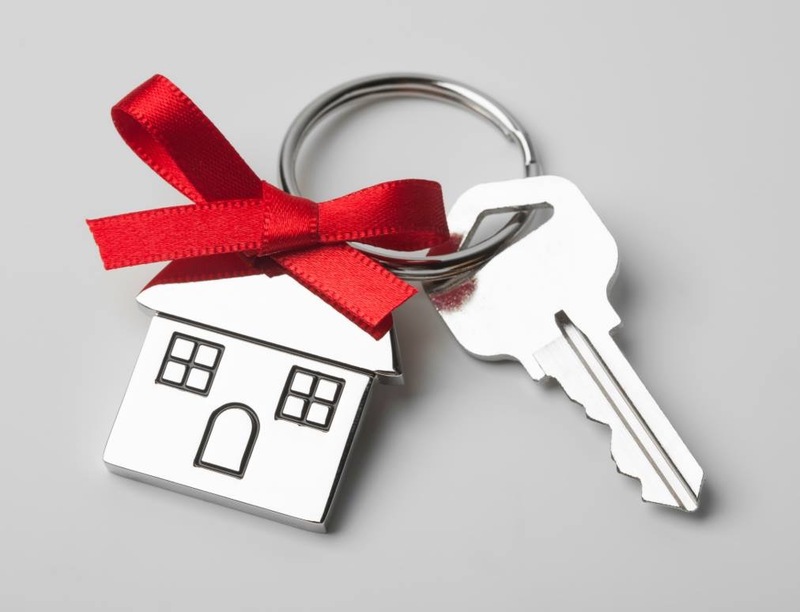 If you are looking for a home in the Lake Wylie area, give us a call at 803-831-8588. You can view current listings and create custom searches on our website here.